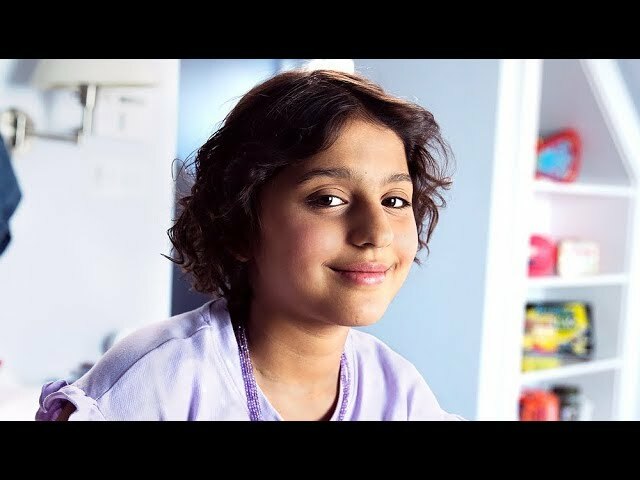 When Myrrah was just six years old, she was diagnosed with acute lymphoblastic leukemia. Her family lived in India at the time, where she received a year of intense treatment. When her blood work showed no signs of cancer, her family celebrated with a vacation to Europe. Then, during a routine checkup they learned that Myrrah’s cancer had returned and the doctors said there was nothing more they could do. Desperate for hope, Myrrah and her father traveled to New York and met with LLS-funded researcher, Dr. Andrew Kung. In 2016, after a year of treatment and a bone marrow transplant from her older brother, her lab work showed no sign of cancer. Today, 12-year-old Myrrah loves being creative and is thriving in school. She continues to give back by participating in various fundraising campaigns through LLS.